According to a latest press release by Inter Services Public Relations (ISPR), two Pakistan Army soldiers have embraced martyrdom at Line of Control (LoC) in Azad Kashmir. According to details, Indian Army started cross border firing at about 2:30 AM on Thursday. One of the Army Jawans, who gave their lives to protect the nation, was from Astore district of Gilgit-Baltistan. Havildar Jumma Khan had been inducted into Pakistan Army 16 years ago. He was married and had one son and two daughters. Naik Imtiaz, the other Army Jawan who embraced martyrdom, belonged to Faisalabad. He was also married and had three daughters. The Shaheed Army jawans will be be laid to rest in their respective hometowns. The images of both Jawans were published on ISPR’s website and social media channels. A statement on ISPR’s Facebook page was published on Thursday evening. There has been no surgical strike by India,instead there had been cross border fire initiated and conducted by India which is existential phenomenon. As per rules of engagement same was strongly and befittingly responded by Pakistani troops. The notion of surgical strike linked to alleged terrorists bases is an illusion being deliberately generated by Indian to create false effects.This quest by Indian establishment to create media hype by rebranding cross border fire as surgical strike is fabrication of truth. Pakistan has made it clear that if there is a surgical strike on Pakistani soil, same will be strongly responded. Funeral prayers in absentia were held in Kashmir, as Tweeted by an independent journalist. People assembled in the premises of Jamia Masjid where they offered funeral prayers in absentia for the slain #Pakistan Soldiers. The relations between India and Pakistan are quite tensed after Uri attacks. India accused Pakistan was behind the attacks which Pakistan denied. Journalism cannot get any lower. Cover of India Today from September, 2016. Four heavily armed terrorists had attacked an Indian Army base near Uri in the Indian-administered state of Jammu and Kashmir on 18 September 2016. It was reported as “the deadliest attack on security forces in Kashmir in two decades”. No group has claimed responsibility for the attack, though the terrorist group Jaish-e-Mohammed is suspected of being involved in the planning and execution of the attack. At the time of the attack, the Kashmir Valley region was at the center of unrest, during which 85 civilians had been killed and thousands injured in clashes with security forces. India had warned Pakistan that it may carry out surgical strikes to destroy militant bases supported by Pakistan. 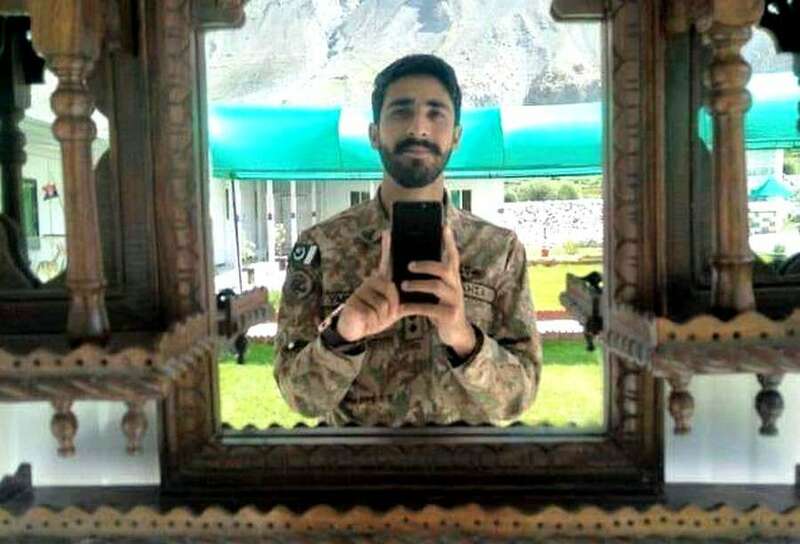 A Pakistan Army soldier recognized as Lieutenant Azhar Abbas from Astore district of Gilgit-Baltistan has embraced martyrdom in Siachin at around 2:00 PM on Thursday. Lieutenant Azhar Abbas was son of former SSP Yousuf Ali. He was inducted into Pakistan Army through The Pakistan Military Academy’s PMA 135 Long Course (135 L/C) and was deployed at the World Highest Battlefield of Siachen. Friends, family and social media users have been showing their grief after the news of his martyrdom was posted on Facebook. According to some sources, Lt. Azhar Abbas passed away due to high altitude sickness. His body could not yet be sent to Astore due to bad weather. Every day when we wake up, we struggle hard to make a name for ourselves, our families and our country. We see a handful of names in the limelight while hundreds and thousands of names remain in an obscurity no matter how big or small that person’s contribution to the society is. At GBee, we believe that a society cannot prosper without the small yet meaningful contributions of its members. This is why, we are announcing the launch of an on-going campaign which we are now officially calling #GBCProspers. 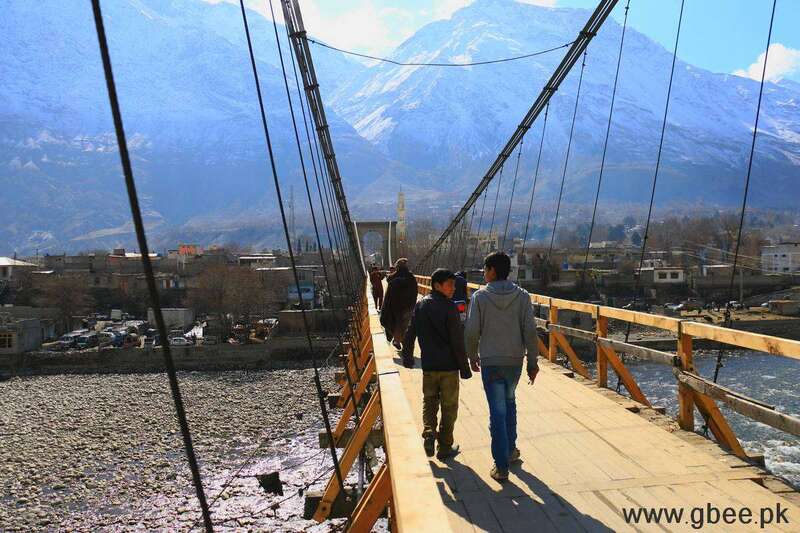 This campaign aims to celebrate the contributions, small and big, by the common citizens that collectively reflect in the social, cultural, religious, musical and economic prosperity of the mountain communities. How to access the stories? The stories published under #GBCProspers campaign can be found on a dedicated topic section. Each story will also be published in its relevant district page on Facebook and GBee’s Instagram and Twitter accounts. Alternatively, you can search for the hashtag #GBCProspers on Facebook, Twitter and Instagram to get the latest as well as the stories published in the past. How to submit a story? Stories can be submitted at our email editor[at]gbee.pk with #GBCProspers in the subject, on our WhatsApp number +923555075849 or directly at your relevant district page on Facebook.